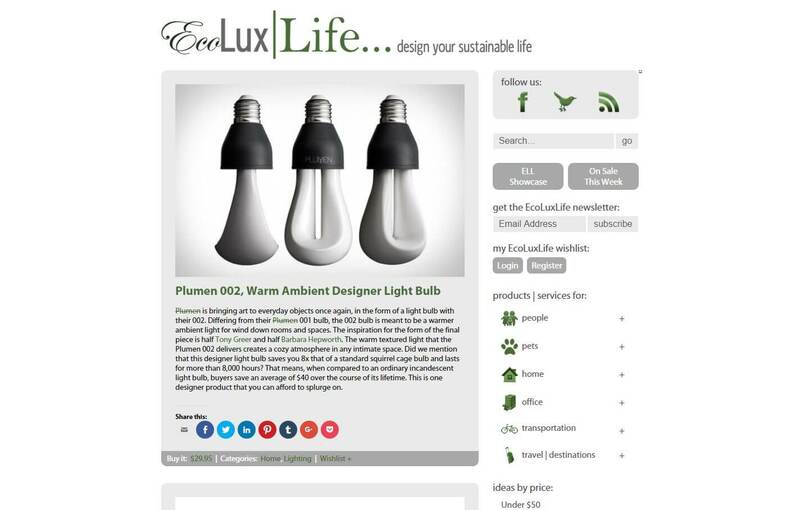 EcoLuxLife is a web-log dedicated to showcasing modern sustainable products available for purchase as well as their designers. While we believe that living a more sustainable lifestyle means minimizing one’s consumption, we are realistic about the purchasing habits of our readers. That being said, we hope EcoLuxLife becomes a resource in your decision making process, by cataloging the many great items that are currently available in the marketplace for the modern dweller.